The BBC TV series “Sherlock” has many devoted – and active – viewers, not least after the spectacular events in the second season’s final episode. 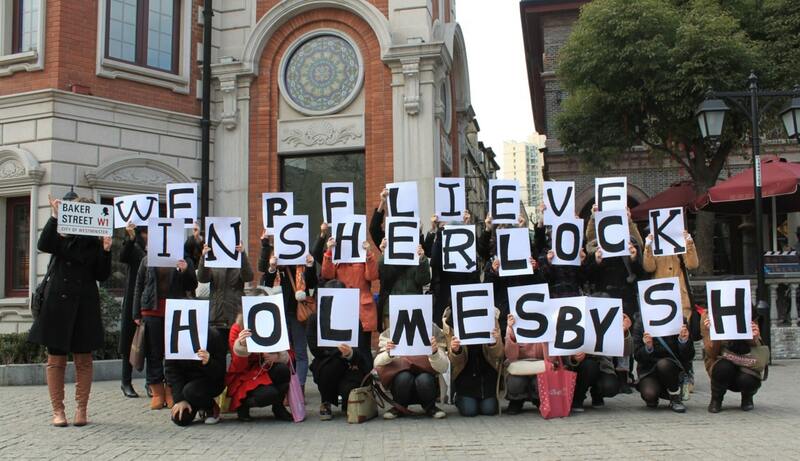 The international and rapidly spread movement #believeinsherlock is the most obvious evidence of this. And it all started after a Tumblr post by the blogger Earl Foolish on January 16th, 2012. I’m proud that SherlockHolmes.se can present the first interview with the person behind the blog signature – Mika Hallor from Sweden. First of all, who is Mika Hallor? – I’m a pop culture nerd who currently live and work in England. I have always had a great interest in TV series and fictional characters. I spend most of my free time watching TV series, analysing and discussing. Preferably from a queer feminist perspective. – It’s a movement where Sherlock fans have made it their task to “whitewash” Sherlock’s name after the lies spread by Moriarty in “The Reichenbach Fall”. In some ways it is an ARG (alternate reality game) where the fans experience what it would have been like to be one of the Sherlock fans of the series. How had they reacted to reports that Sherlock was a fake? Had you believed what media reported, believed in “Rich Brook”, or had you stood firm in your opinion about Sherlock? 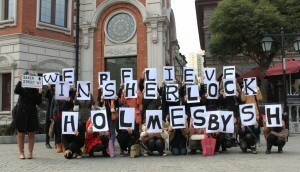 The movement aims at spreading flyers, stickers, graffiti, tweeting, blogging, and otherwise expressing their support for Sherlock. 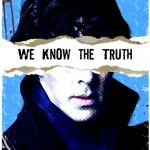 How did you come up with the idea #believeinsherlock? – It was almost immediately after the airing of the last episode of season two on BBC. I had seen a post on Tumblr inviting the fans to wear black mourning bands to show their support for Sherlock, just like the fans did when the short story “The Final Problem” was first published (in 1893). To me that was fairly irrelevant. The Victorian readers didn’t know that Sherlock would return, so their grief was real and justified – but is the same for us? I thought that all the energy, grief and commitment that people showed could be used for something much more relevant. “Sherlock” takes place in the contemporary world, so why not make a response to reflect that? The TV series uses both social media and graffiti frequently, and I felt that if we used this as a starting point then we could develop something from what actually happened in the series that was fun and creative instead of sad and passive. The idea occurred to me on the Monday morning after the last episode was broadcasted, and during the day I worked on the blog post and discussed with some friends if they thought it would have any impact. What kind of response did you get after publishing the blog post? – The response was immediate. The post got several thousand likes and reblogs in just a few hours. I thought I was going to have to rely on some online friends to help me to spread my idea, and that we would be a couple of hundred at the most. But I had clearly underestimated the dedication of the fans. When did you realize that this movement would grow so big? – Probably after the second day when we were approaching 10 000 notes on the post. It was then I realized that it had spread to facebook and on tumblr without any help from me. 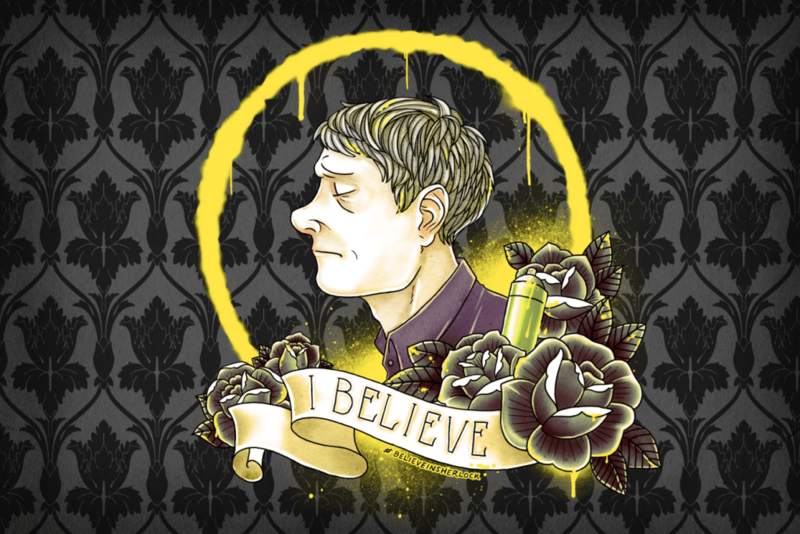 I think one of the reasons to why it spread so effectively was the fact that I already from the start gave suggestions for activities, why the activities were relevant, and not least that the hashtag #believeinsherlock was determined from the outset. None of that “Eh, should I tag this, and how?”. I had already set the parameters, so people could contribute right away. Do you think that the rapid spread may have been due to the fact that your original post was done on a Tumblr blog? 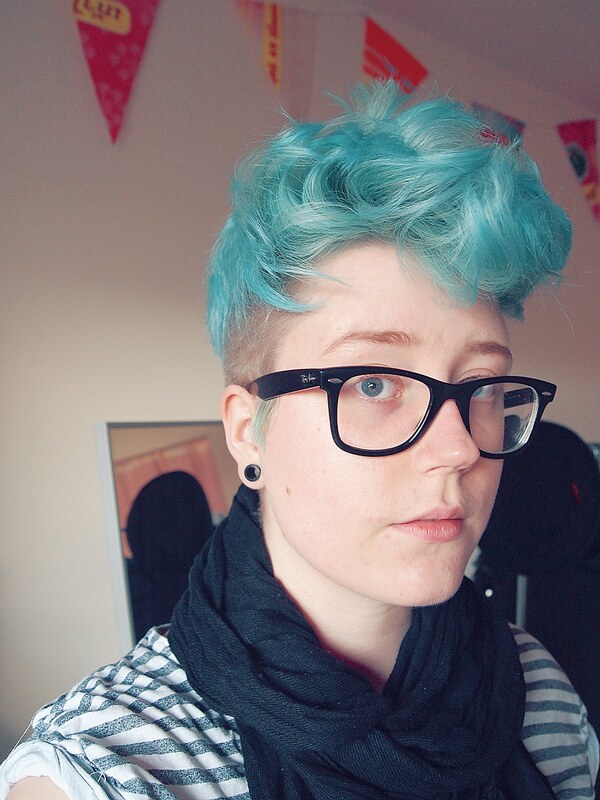 – I’m absolutely sure that the tumblr format contributed to spreading the movement the way it did. Not only because tumblr makes it easy to reblog blocks of text with images, where Twitter gives you only 140 characters. Fan culture – Sherlock, but also Harry Potter, Doctor Who, and Supernatural – has very strong bearings on tumblr. Tumblr is for example one of the first places that always finds and spreads new photos from filming locations, and material can be spread with lightning speed. I also already had nearly 1 000 followers and was somewhat known as a fan artist, which I think helped. How does it feel now it’s so widespread? 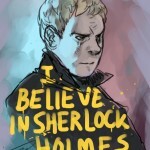 If you google “believeinsherlock” it produces 1.5 million hits! – It’s unbelievable. I often forget what a phenomenon it has become and that it was I who started it. It is especially fun when you see it spreading to popular blogs outside the tumblr sphere, online newspapers, and in some cases old media. I studied digital media a couple of years ago, and in almost every project that we worked on someone suggested that we should try to create something viral. Which we also did a few times, but never quite succeeded. Now, having launched something as massive as this, it feels really cool, especially when it was … almost random. It proves that you can’t really plan things like this, but if you have an idea that is good enough the rest will take care of itself. Are there any leaders in the movement or how does it work? – No, not really. I expressed early on that I did not want to become some kind of leader, instead I wanted everything to spread and grow … organically, if that is the best word for it. I think the lack of leadership has forced people to be more active, instead of waiting for others to do something just because you’re too lazy. 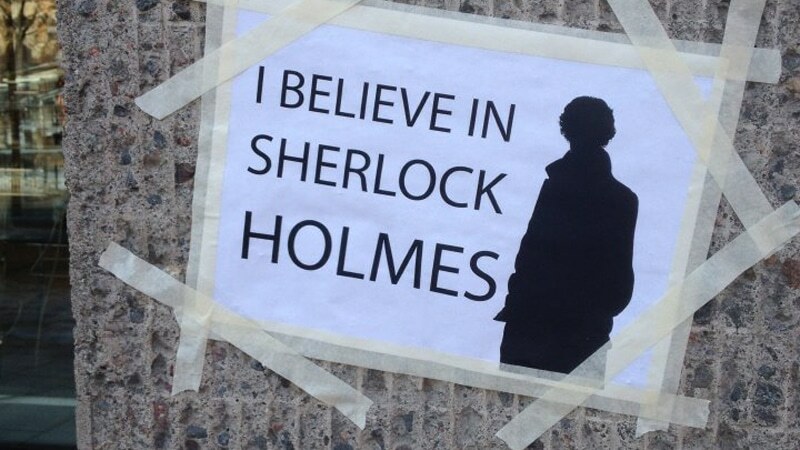 Without leaders you realize that if you want #believeinsherlock to spread in your own hometown, then you have to make it happen yourself. There are a number of blogs and twitter accounts that have made it their task to gather and spread material, which is great. 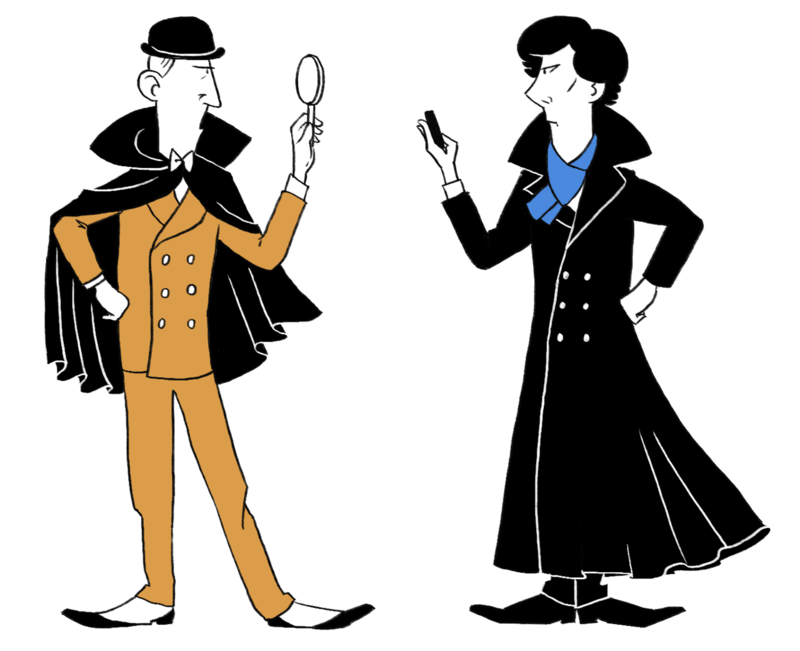 What kind of person do you think is most attracted by #believeinsherlock? And why do you think they are attracted – is it primarily considered to be just for fun or are there other reasons? – I believe that for many people this became a great and creative thing to do after the end of season. Many were very sad. Even if you as a viewer are fully aware that Sherlock survives, it is still very sad. 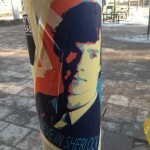 The Sherlock fan culture has always been very passionate and they are not afraid to show it. The fans of the BBC Sherlock series are almost notorious for their fanaticism, and there are certain factions that can be a bit intimidating. But on the whole, it’s as simple as feeling the need to express your love for Sherlock. I know by personal experience how it feels to be so fanatical that people around you get fed up with you and sigh every time you open your mouth because they already know exactly what you are going to talk about. With #believeinsherlock we took the step from the dinner table to the street. Speaking of streets, you mentioned graffiti. 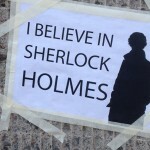 Has there been any criticism of #believeinsherlock? – There has been a lot of controversy around the movement. Many people are annoyed by what they perceive as illegal graffiti and vandalism. In fact, very few of the contributions have been graffiti, and an even smaller proportion of those, illegal graffiti (much has been done on legal walls). I think most of the comments are made by people who find it hard to see others having fun, especially when they did not themselves came up with the idea. And I think they are afraid, afraid that some individuals will do something illegal and that all Sherlock fans will get in trouble because of it. Wimps! I’ve been in discussions like that, and I’m fed up because ultimately, these people only care about saving themselves and believe that all others are uneducated hooligans. Street art is also art. 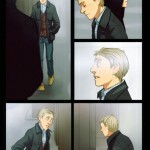 Top: France (from parisian-sherlockians-pix.tumblr.com). Bottom: Shanghai (from ivypriest.tumblr.com). And the opposite: what have you enjoyed most with #believeinsherlock so far? – What I like most is seeing how fans in small towns in the middle of nowhere have found each other thanks to the movement. You think that you are the only person in a Texan, Finnish or Philippine small town, and suddenly you find a flyer in the grocery store. It’s also fun when they have big meet ups around the world and take photos. I think that’s the coolest thing so far, to see people finding each other. Because that’s often the most difficult part of online fan culture: you can find people with the exact same interests, but they often live on the other side of the world. 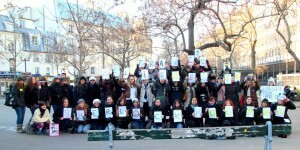 But when we took it to the streets it turned out that we are everywhere. Do you follow what’s happening? – I follow the hashtag on tumblr on a fairly regular basis but I don’t post or reblog as much any more. I guess I’m sort of a chaotic neutral: I like to start something but then I prefer to just watch what happens until I loose interest. 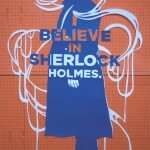 What are your hopes for the future of #believeinsherlock? And do you think it will last? – It would be nice if it could last until the next season, but it is hard to determine the viability of phenomena on Internet. It would also be cool if it somehow were included as a reference in the next season. It doesn’t have to be anything big, a little graffiti would be fun. We know that several of the actors and those involved in the production know about and like the movement, so it’s not totally impossible. On North Gower Street in London, in front of the filming location of 221b Baker Street. In some parts of the movement there is a strong support to save Conan Doyle's home Undershaw. Have you had a longstanding interest in Sherlock Holmes or is it something that begun with the TV series Sherlock? – For me it’s relatively new. I’ve always known about Sherlock Holmes, of course, but for some reason I’ve never understood how you could be a fan. How can you be a fan of a collection of books? In spring 2010, friends brought me to the Sherlock Holmes Museum in London, and that’s the moment when I got it. I was still living in Sweden, and I discovered that the Granada Sherlock Holmes series aired on TV, and I realized it was perfect for relaxing watching. A few months later the BBC Sherlock series was broadcasted, and as a faithful fan of Doctor Who, I felt compelled to watch it. I have been hooked ever since. I’ve read all the canon, seen all the movies and TV series I’ve come across, and am now starting with newer books and adventures outside the canon (I can recommend The Hounds of D’Urbervilles, a collection of adventures about Moriarty, written from the perspective of Sebastian Moran). Have you felt any interest for the Sherlockian world, i.e. the many Sherlock Holmes societies that exist around the world and the almost quasi academic research carried out? 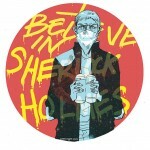 – I must admit that the Sherlockian world doesn’t hold any particular appeal. I am quite happy in my little sphere, and my interest in Holmes is not very academic. I’m more the kind of a person who spend time on tumblr and type “ajtykuyiluhfgdgfhkj” when new images from different TV series, films and such are released, drawing fan art, criticizing Steven Moffat for being a sexist pig, and discussing with anyone who automatically think it’s wrong that Watson will be portrayed by a woman of Asian descent in “Elementary” (Sexism! Racism!). Tumblr is where I live and thrive and where I’ll probably stay. It may be a contemporary thing, but the new generation of fans (who were hooked by Ritchie’s movies and “Sherlock”) simply doesn’t seem as interested in, for example, Holmes societies. The average age is low (about 15-17) and I often feel old, even though I’m only 23. But it’s exciting to see how it develops. And finally, which actor do you think is the best Sherlock Holmes on film or TV? – In the end it’s Cumberbatch. He may not be exactly the Holmes of the books, but I like him the best, because of the possibility of recognition (there are of course different opinions on whether he suffers from a “disorder” or is a brilliant swine, but being on the autism spectrum myself I can relate on a personal level to a lot of what he does). Otherwise, it’s probably Jeremy Brett. 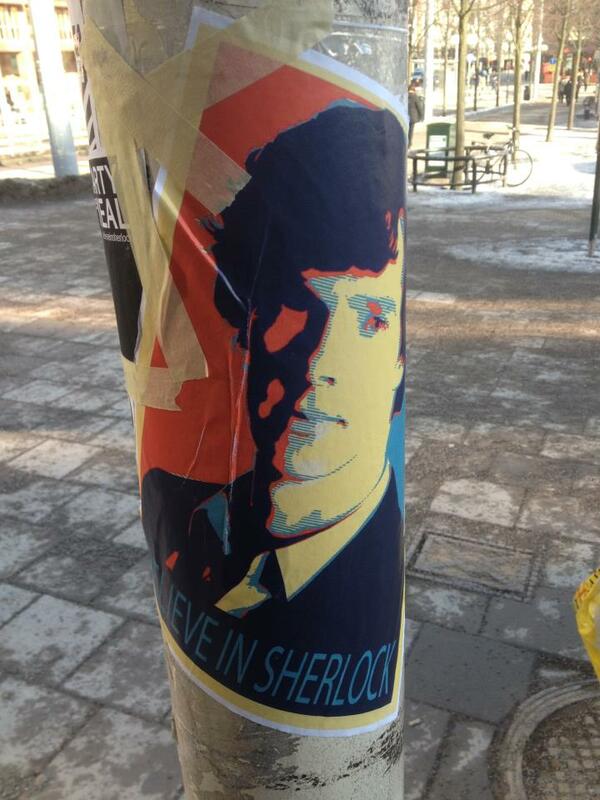 Do you have any examples of really creative contributions to #believeinsherlock? – Oh yes, all the art. Not only did people make cool posters and flyers, but actually fan art of epic proportions appeared already day two and has continued to show up. Because of the constant stream of a tremendous amount of new pictures, it’s not easy to keep track of everything, but here are some favourites I’ve found. 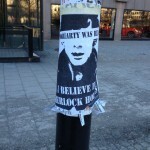 I have interviewed Jack Werner, a Swedish Internet phenomenon expert, regarding other movements similar to #believeinsherlock. Is it unusual for something spreading on the Internet to take the step into the real world? 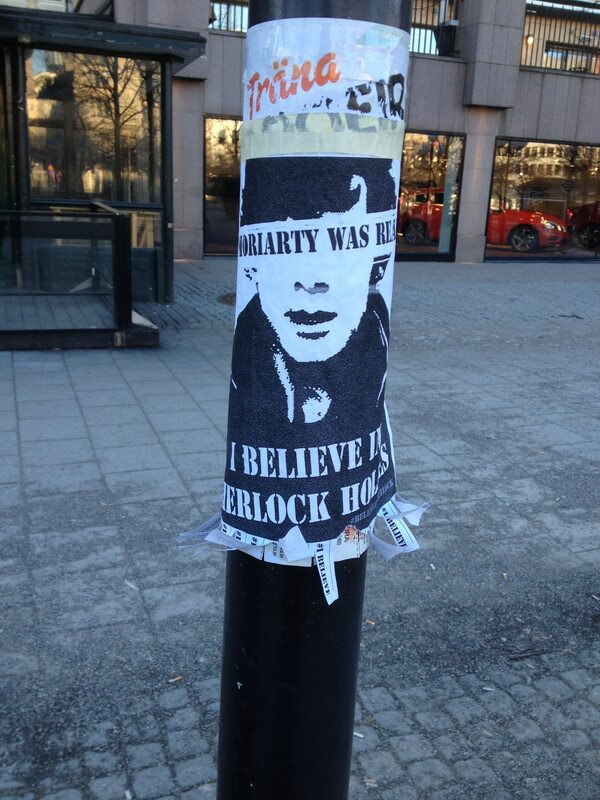 For instance posters placed around the city. – No, it is not uncommon, even if it requires an extra measure of commitment from its audience. Many Internet phenomena have – as the use of the Internet has increasingly become an everyman’s tool – also taken hold in the real world, such as This Man, from the beginning a rather clumsily arranged viral campaign for a movie made 2009. The basic mystery of the story had such a strong attraction that it also broke through into the real world, and thousands of posters were put up all over the world. This Man was not in any way the first of its kind – back in 1994 an enigmatic campaign linked to Pink Floyd was launched, Publius Enigma, the impact still make people brood over it. 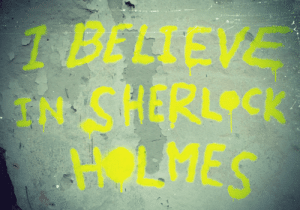 One thing recognizable in #believeinsherlock, which is applicable in many other similar campaigns, is, as I initially stated, the commitment of a clearly defined group. These campaigns are fuelled by likeminded people that get in touch over the Internet through a shared nerd interest for a narrow topic. There are always really creative people in that group, who will come up with interesting ideas, which the others without too much effort can participate in. It’s just a bonus if you then can bring your own personal style through remixes and reinterpretations. Putting up posters is in this context a good example of how such a process evolves. The original blog post was written on the blog platform Tumblr. When I asked Mika Hallor, she believed that this in fact might be one of the factors behind the rapid spread. What do you think? – Yes, just like Twitter, there is in Tumblr an easy built-in way of sharing material. And also, you follow people who share your interests; so further spreading of material that interests you comes very natural. Then you must of course have a certain amount of luck for things to take hold – even the best idea may fall flat through bad luck or bad timing. But pop culture is strong on Internet, and especially if there is a recent occurrence, to which you can link everything. Then it just requires a megaphone, i.e. that a person with great influence discovers the phenomenon, to amass a huge fan base. 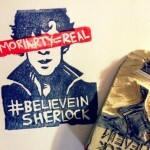 Tor.com: What is the #BelieveinSherlock Movement? And How Did it Get So Widespread So Quickly?